Soccer (or Football, depending on where you’re from) is an addictive sport that’s gained worldwide popularity. People from every corner of the globe love to come together to watch live games at the nearest stadium, and enjoy the thrill of the sport up close. 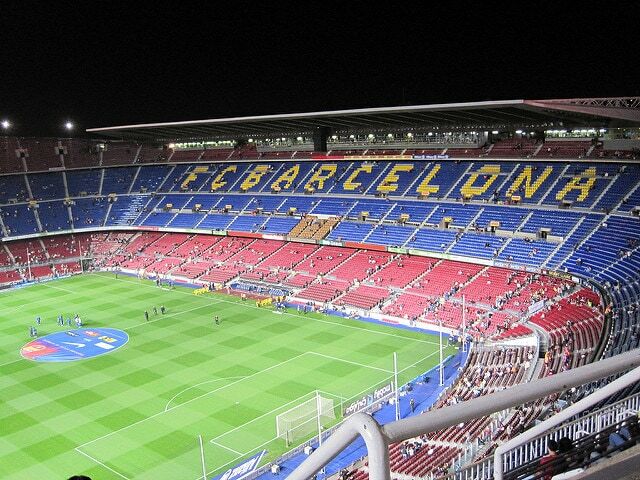 Just how big can soccer stadiums get? Today we’ll be looking at 10 of the largest soccer stadiums in the world and learning what makes each one unique. The ability to seat huge numbers of fans is what makes these stadiums truly stand out, so we’ll be comparing the sizes of these massive structures according to their seating capacity. 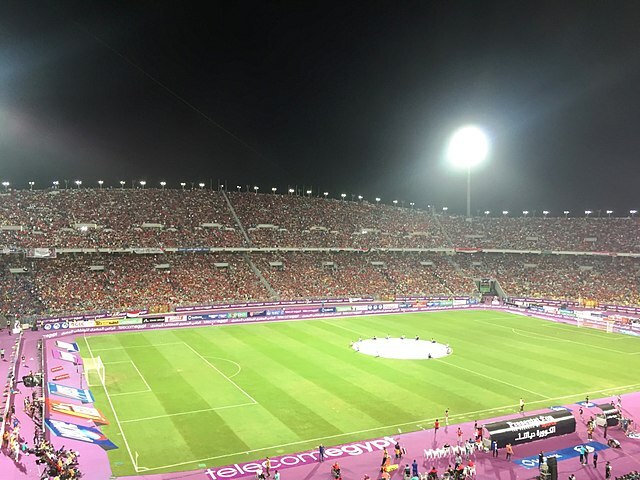 The Borg El Arab Stadium is highly regarded for its lighting and clear view, as well as its internal roads and ample parking. This venue is also known as the Egyptian Army Stadium, as it was constructed by the Egyptian Armed Forces Corps of Engineers. It was originally part of a building project with the goal of hosting the 2010 FIFA World Cup in Egypt. This stadium saw record attendance for the 2018 FIFA World Cup match between Egypt and the Congo in October 2017. 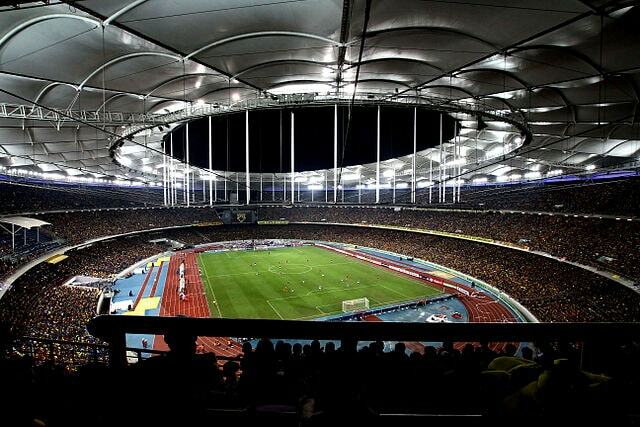 The Bukit Jalil National Stadium was awarded the “Stadium of the Year” award in 2018 in recognition for not only being the largest stadium in Southeast Asia, but for its prestige as a high-quality venue. When all renovations are complete, the capacity of the Bukit Jalil National Stadium is projected to increase to 110,000 seats. The Bukit Jalil National Stadium became the home stadium for the Malaysia national football team following the 1998 Commonwealth Games. 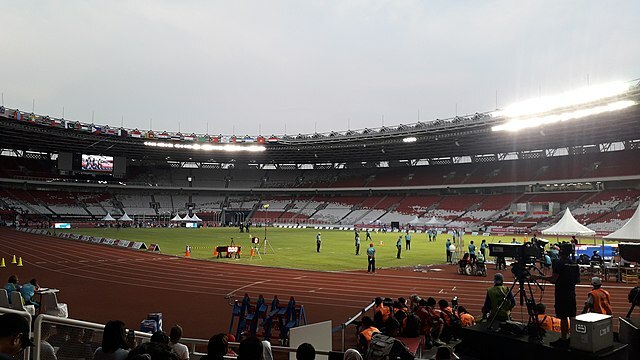 Named after Sukarno, Indonesia’s first president, the Gelora Bung Karno Stadium has hosted a number of prestigious events, including the 2007 AFC Asian Cup Final. This stadium has recently undergone renovations in preparation for the 2018 Asian Games. In an eco-friendly and energy efficient move, the Gelora Bung Karno Stadium installed 610 LED flood lights. The stadium has been said to feature one of the best lighting systems in the world. 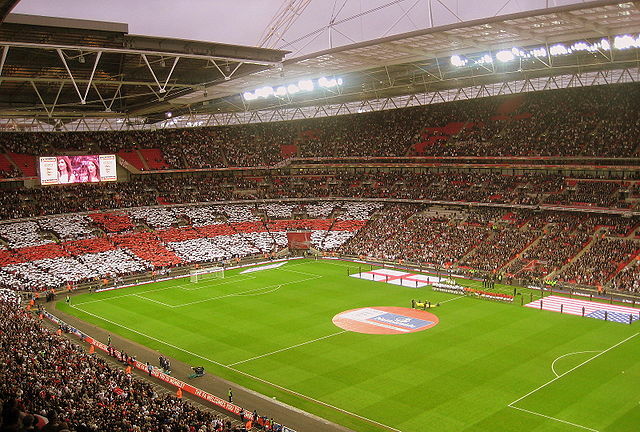 Graced by a 440-foot tall arch that crowns the stadium arena, the Wembley Stadium is one of the most famous venues in the UK, and is owned by the Football Association. Shahid Khan extended an offer to purchase the stadium from the FA, but reconsidered and withdrew his offer. The Wembley Stadium’s beautiful, iconic archway is thought to be the longest single span roof structure in the world. The Rose Bowl Stadium was designed by architect Myron Hunt, and is recognized as a California Historic Civil Engineering landmark. The First National Bank Stadium is easily the largest in Africa, as well as the site of Nelson Mandela’s first speech in Johannesburg after his release from prison. This same stadium served as the venue for his memorial service years later in 2013. 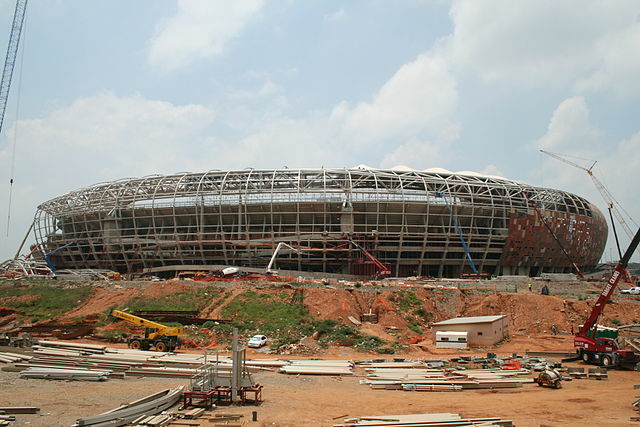 The FNB Stadium’s sunken bowl design was preserved through renovations, and is nicknamed the “Calabash” or “African Pot”. The FNB Stadium was the first international football stadium in the country. Formerly known as Aryamehr Stadium, this impressive all-seater stadium was originally constructed for the purpose of providing a centerpiece venue for the 1974 Asian Games. Even as large as it is, the Azadi Stadium has run into concerning problems with overcrowding in the past. Since 1980, Iranian women were forbidden from watching men’s sporting games. However, on June 20th of 2018, female soccer fans were allowed into the Azadi Stadium. By far the largest stadium in Mexico, the Estadio Azteca has hosted the World Cup and witnessed some of the most brilliant moments of famous players such as Diego Maradona and Pele. However, the condition of the turf has taken a dramatic turn for the worse during 2018. A series of renovations, heavy rains, and unsuccessful hybrid turf have left the stadium looking rather shabby and have even forced matches to relocate. 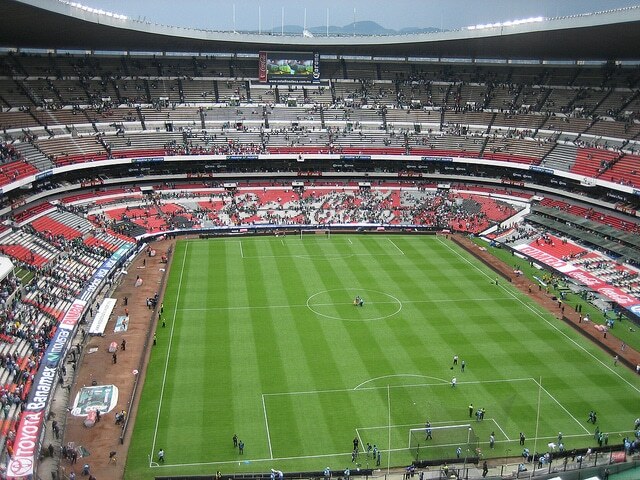 The Estadio Azteca stadium has hosted a variety of popular concerts, which have also contributed to the frustrating turf issues. After interest in sports skyrocketed after the influence of a team led by Hungarian star Ladislao Kubala, the old stadium, Les Corts, was deemed insufficient. The replacement stadium was first called “Estadi del FC Barcelona,” but was renamed Camp Nou, which translates to “New Ground”. While this stadium is already massive, plans are set in place to expand it even further starting in 2019. This stadium is open on a daily basis to offer tours. The Rungrado May Day Stadium is the largest soccer stadium in the world. 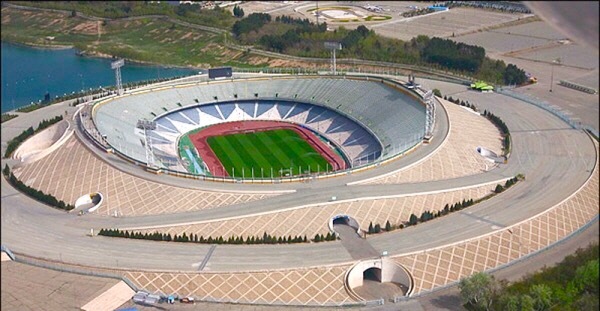 While some people have confused it with the Kim Il-sung Stadium due to its close proximity, the Rungrado May Day Stadium’s capacity is much larger. 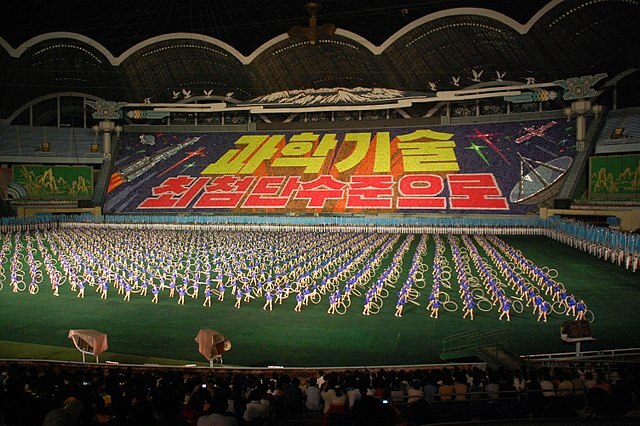 This colossal stadium hosts not only general athletic competitions, but annual Mass Games that feature gymnastics and dance in honor of Korean culture. The Rungrado May Day Stadium is located on an island. Only two roads provide entry and exit points.